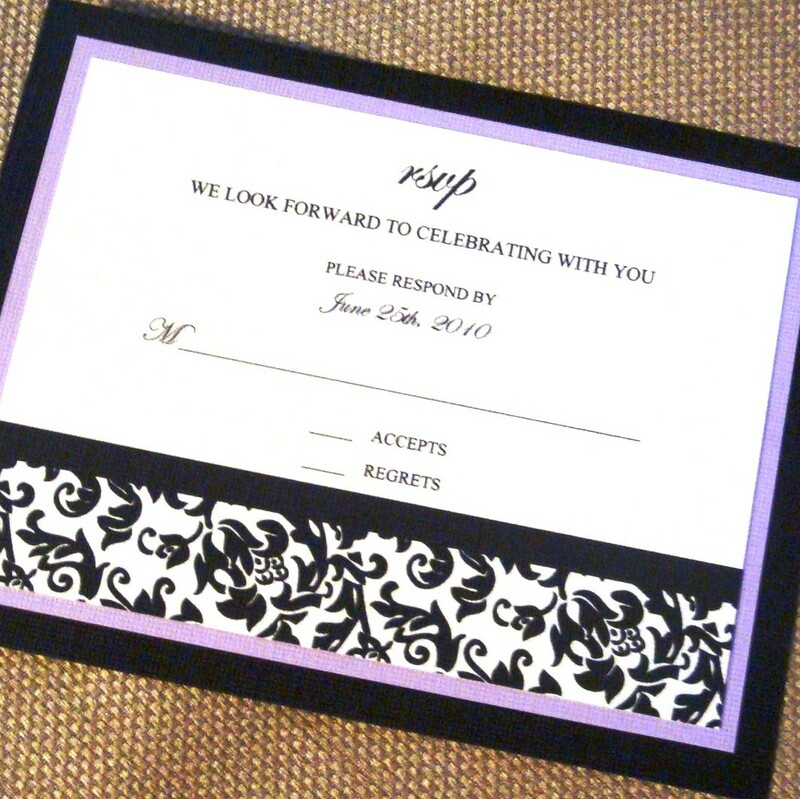 I am currently in the middle of my busy season (people are sending out their invites now for their summer weddings). This past week was definitely a fine example of what life is like during this time. All I have to say about this week is that I LOVED IT! 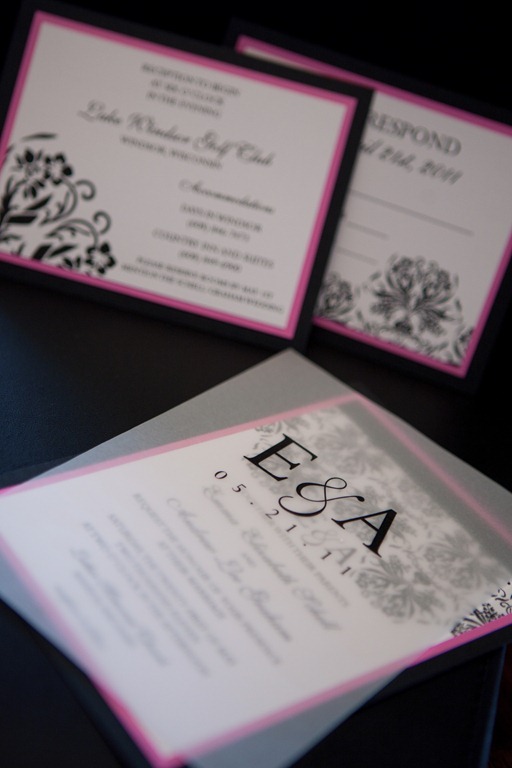 Being busy means I am creating beautiful keepsakes for brides and grooms all over the world — I get to be a part of so many special days; I feel blessed. I thought for this post it would be fun to show you all the items I shipped out this week. I am definitely seeing a trend in this season’s colors — can you? 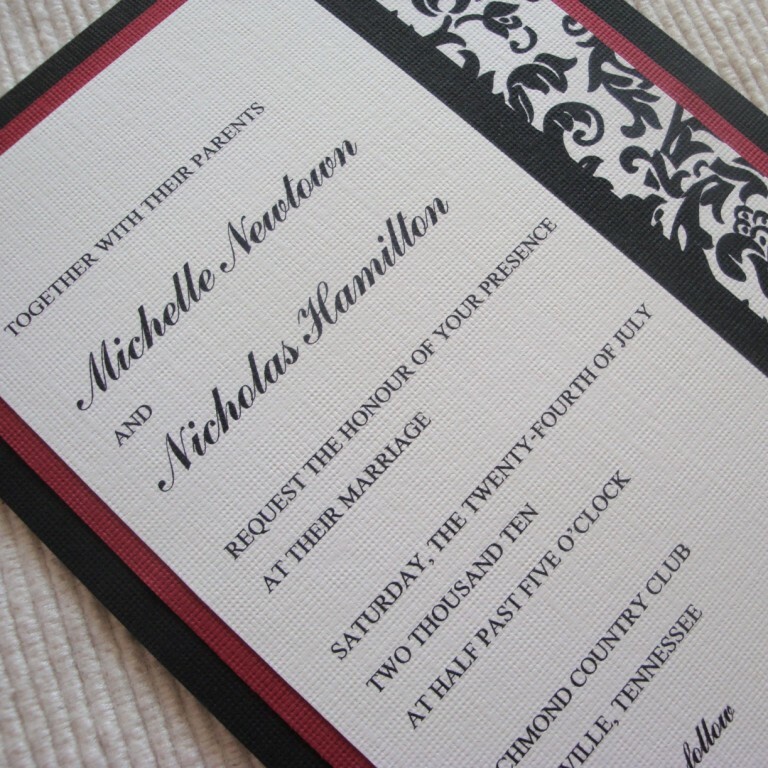 This week’s full invitation order was one of my new favorites. 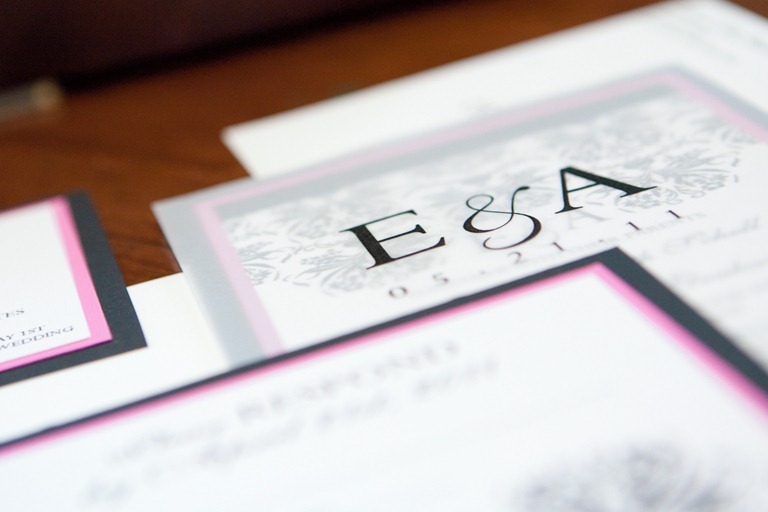 I typically do one to two full invitation orders a week along with the many table number, place card, confetti, and other miscellaneous stationery orders from my Etsy shop. The colors included black, white, and violet (a light purple). 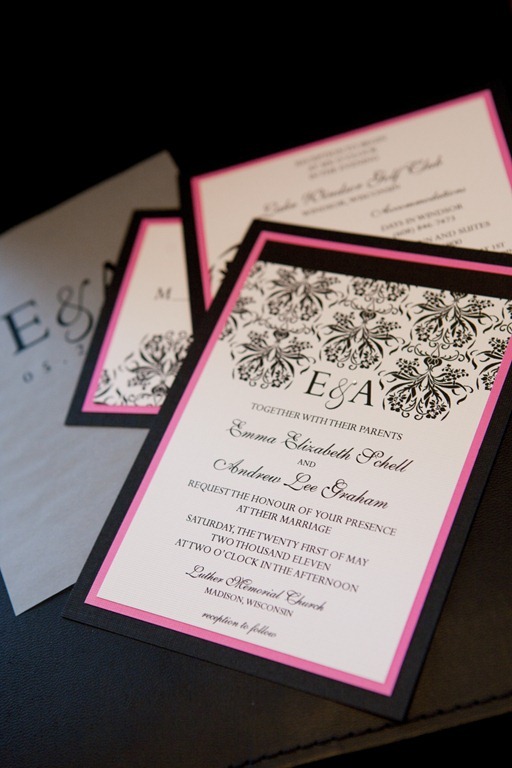 The couple customized my Jennifer invitation set, so the damask print really added an additional air of sophistication to their already sophisticated color palette. 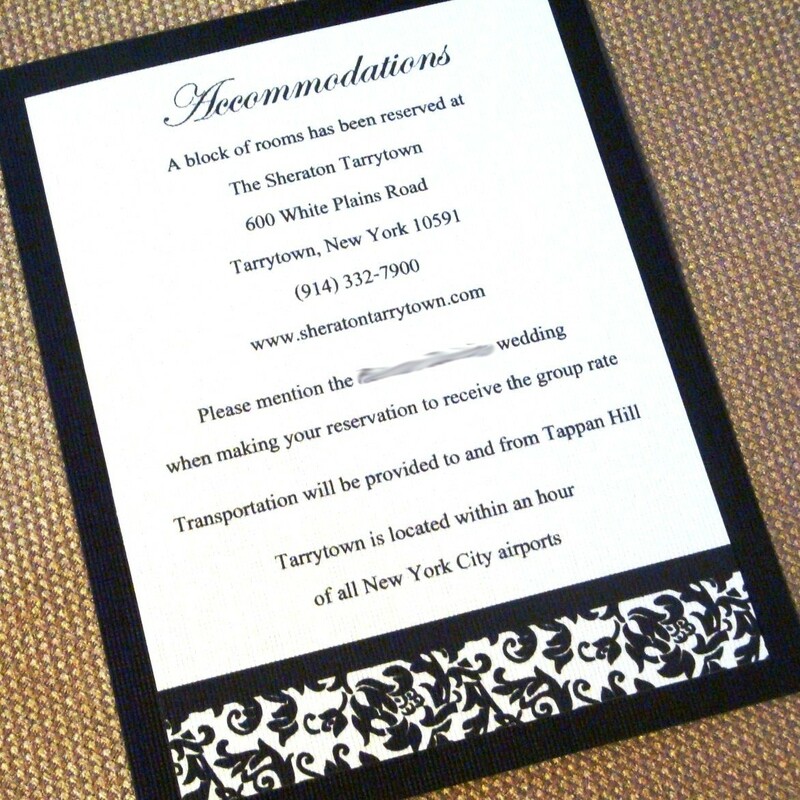 The response card was a mini version of the invitation and the couple also had me create an additional enclosure card that gave guests accomodations information. 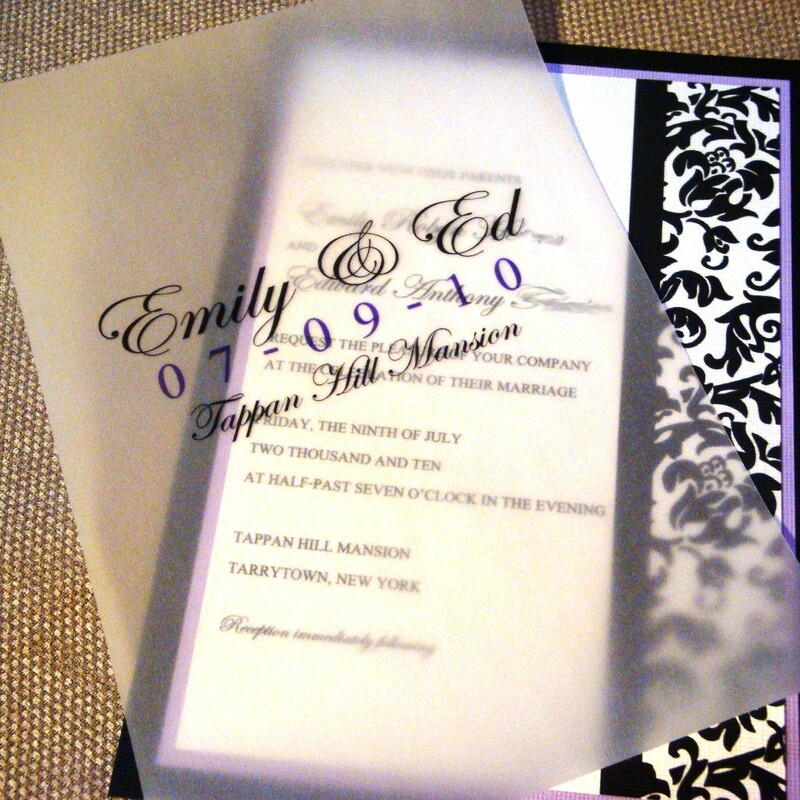 Because the couple added the additional enclosure card, they also decided to add a custom printed vellum layer to protect the face of the invitation during mailing. 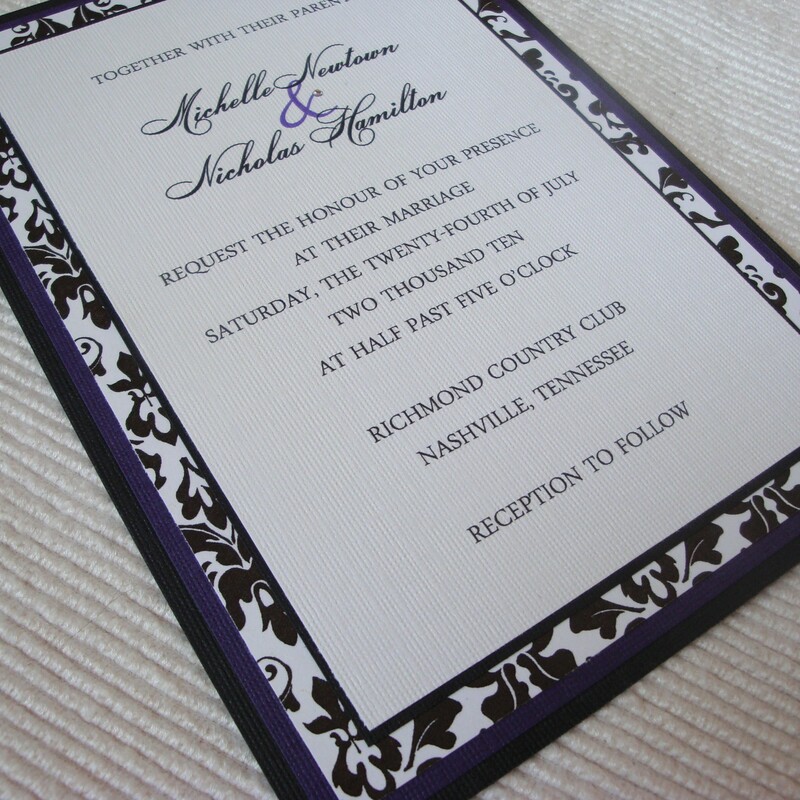 I designed the monogram that was printed on the vellum and sent it to the couple so they could use it on other wedding projects! 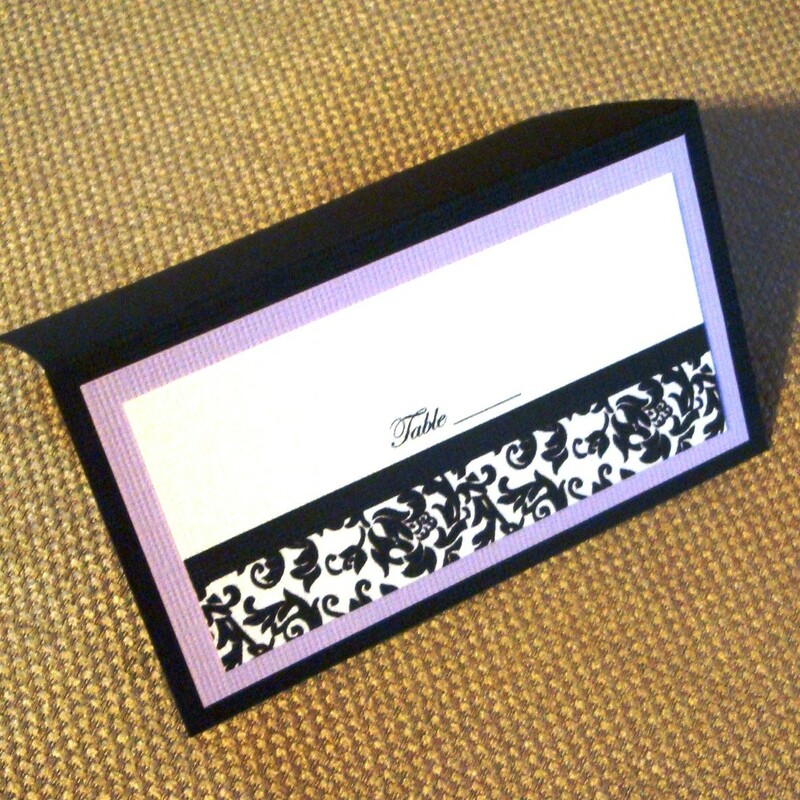 I also created matching place cards and donation cards for the couple. 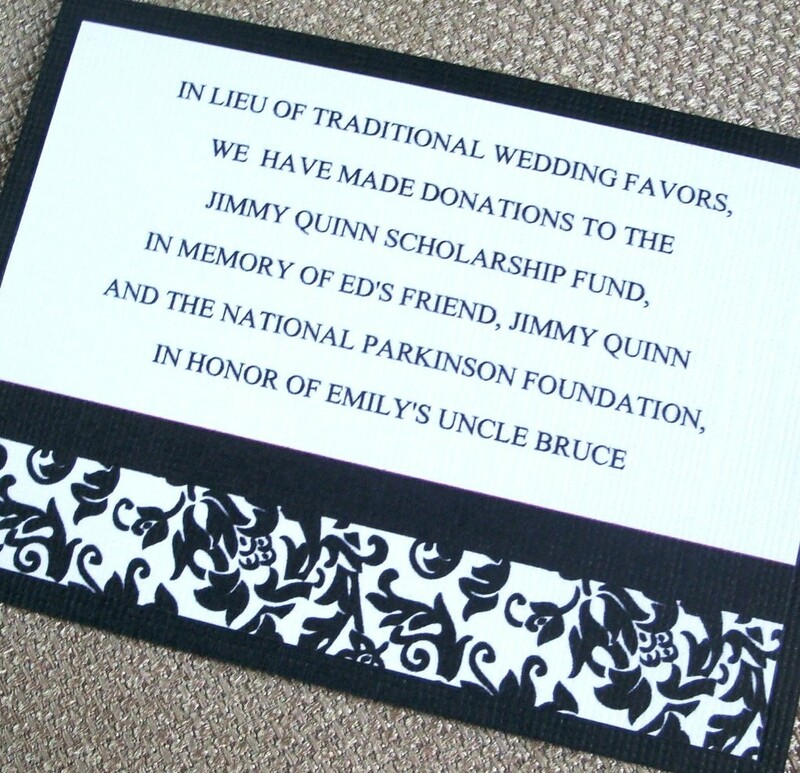 Instead of traditional wedding favors, the couple donated to their favorite charities in memory of loved ones and wanted to give the guests a little note about the charities. 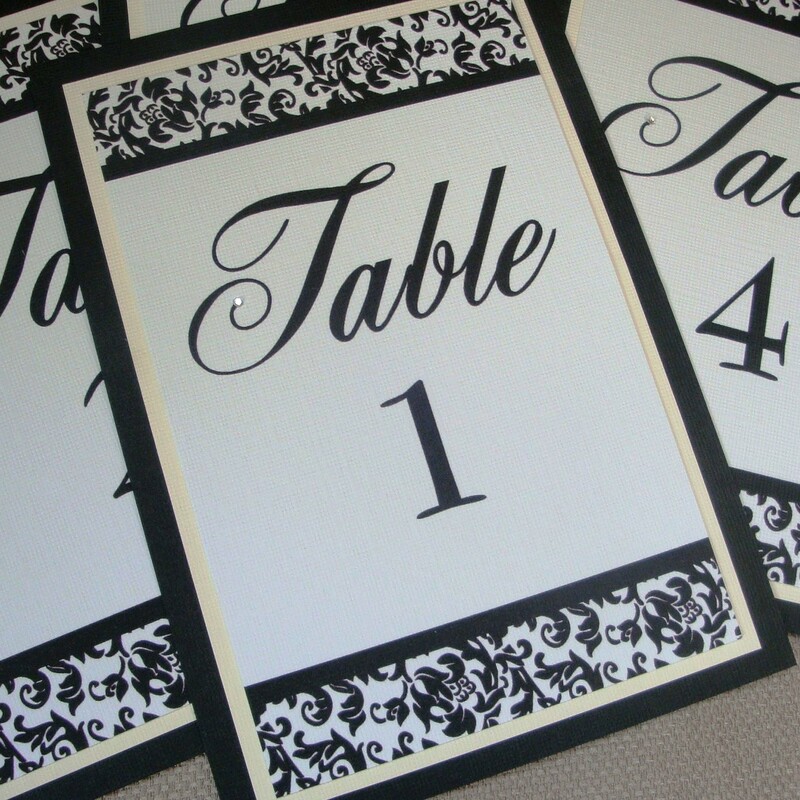 A lot of table number orders have been heading out the door lately! 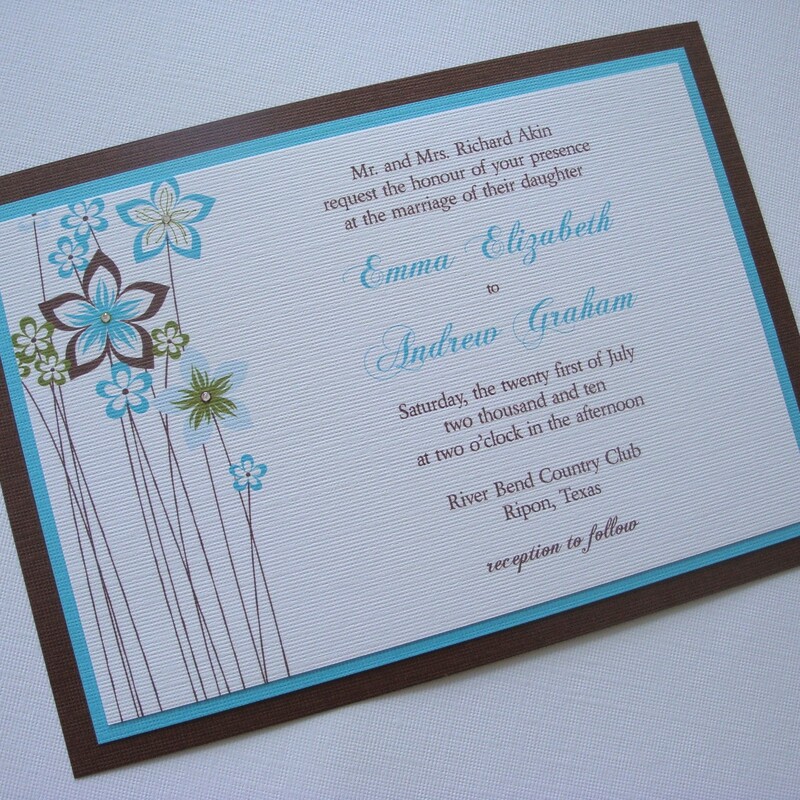 They are definitely that last touch in making your wedding reception decor really stand out. 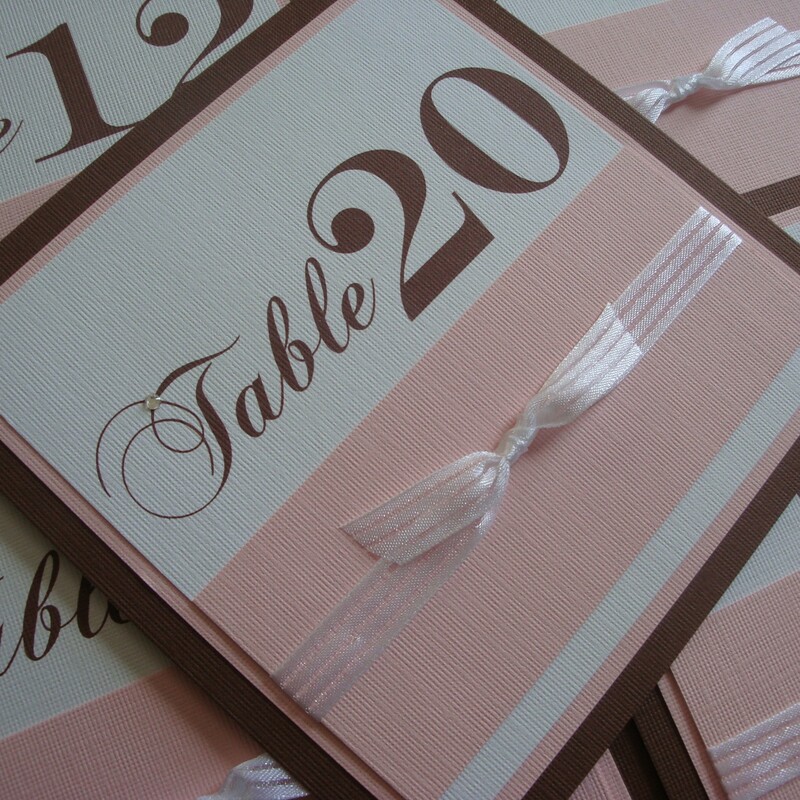 This week I sent out a set of my Sophia style table numbers in Pecan/Chocolate brown, Light Pink, and White. These table numbers use a special ribbon that is no longer available — I only have a small amount left, so this particular set will only be available for a while longer! 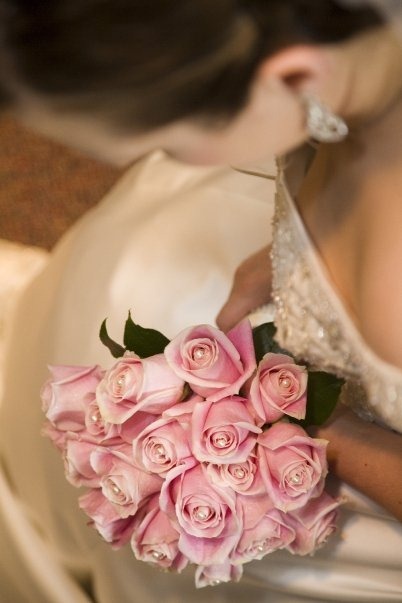 Hot Pink/Fuschia is definitely the “IT” color for the 2010 wedding season. 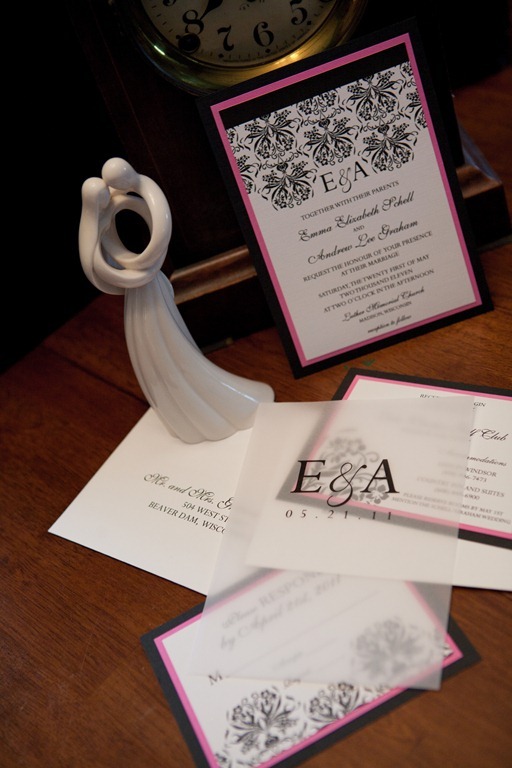 I shipped off a set of my Sophia table numbers that incorporated my Hot Pink color accented by black, white, and silver. 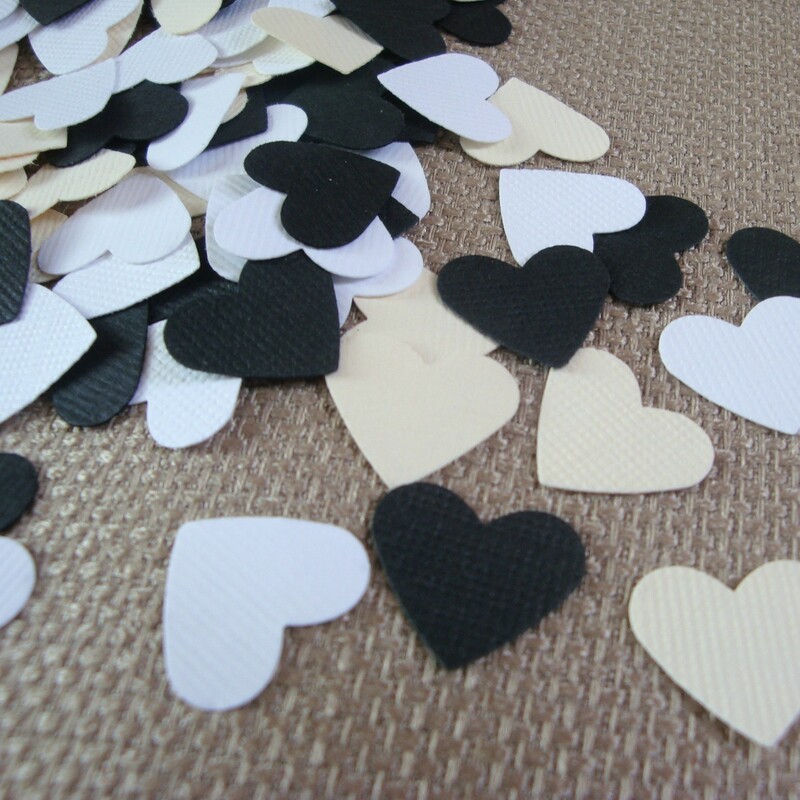 A timeless color combination, one that will always work with your decor, is black, ivory, and white. 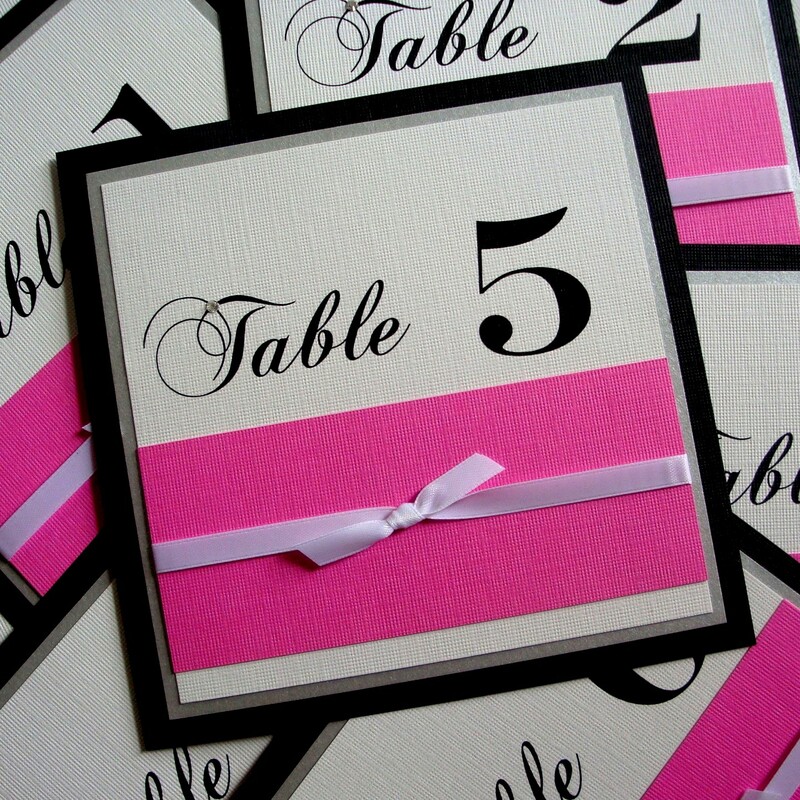 I sent off three sets of my Jennifer style table numbers in this same color combo this week! Along with one of the table number orders, I also sent off confetti in the same color scheme. Now that I have completed this blog post, I feel as if I accomplished quite a bit this past week — let’s hope this upcoming week is just as successful! 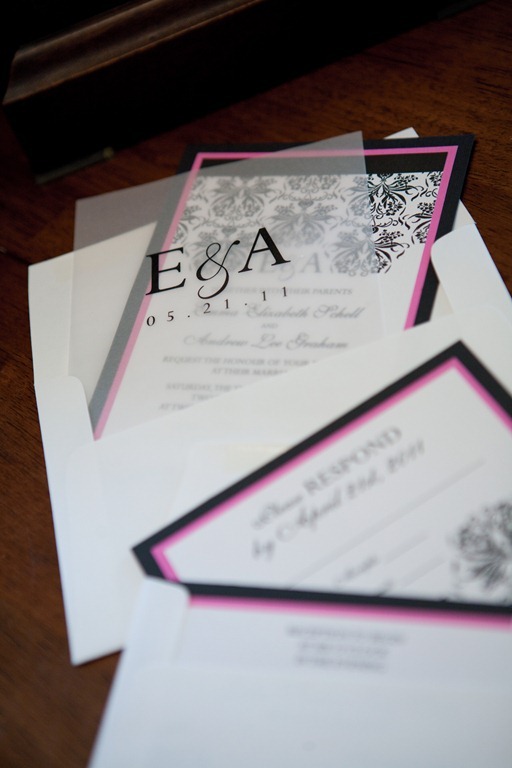 Posted in Customized Orders, Wedding Trends, What's Up and Down and tagged confetti, custom invitations, invitations, invites, table numbers, wedding, wedding invitation. Bookmark the permalink.